AcadiaChamber Press: Welcome to New Chamber Member Coda! Welcome to New Chamber Member Coda! 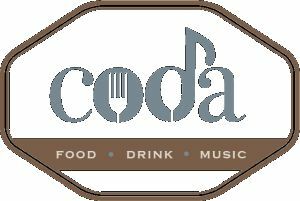 Please join us in welcoming our newest Chamber Member, Coda Restaurant! Coda Restaurant is a true collaboration of food and music. The goal is to bring a farm-to-table dining experience and hand-selected music to Southwest Harbor. Coda serves New England pub-style food focusing on fresh, sustainable ingredients. The menu changes several times each year to ensure it reflects seasonally appropriate ingredients for the location and time of year. All the food is made in-house, meaning everything from stocks and soups to mustards and pastas are handmade and uniquely Coda’s. Coda restaurant also offers an exciting music experience. The musical acts are selectively screened to provide the best possible evening for all guests. During nights with shows, the kitchen and bar are pleased to offer special cocktails and food that both represent and highlight the unique culture of the musical style. After growing up in Vermont and attending culinary school in New Hampshire, Carter moved to Jackson, WY, to experience the mountain life in the Rockies. While there, he worked under the close supervision of esteemed Chef Paul O’Conner. After years of working with Paul, he moved to Park City, UT, to run Silver Restaurant, an upscale, modern dining experience in the heart of the downtown. After several years as the Executive Chef, Carter decided to move back to the east coast, bringing his passion for food, knowledge of cooking, and understanding of the restaurant business to Coda. Stop in to say hi, experience a musical event, and have some wonderful tasty treats!